Award-winning drummer & composer Craig Naughton is now giving drum lessons at the JWA studio in St Leonards. Initially he will be available on Thursday afternoon and evening, possibly adding Saturdays later on. Craig is one of Australia’s most accomplished drummers, valued for his solid groove as well as his effortless mastery of complex forms and odd-meters! Better still, he is a highly-experienced teacher having previously taught at the University of New South Wales, the Australian Institute of Music, and privately in his own studio. He loves teaching students of all levels and ages with the patience and skill to teach beginners and the formidable chops to comfortably take the most advanced students to new, previously-unimagined levels of excellence. 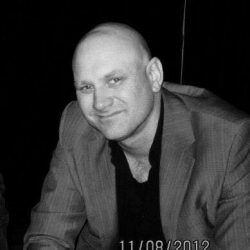 Craig Naughton has experience in preparing students for HSC music performance, Conservatorium and university auditions, and AMEB exams. As a performer, Craig leads his own group, plays in a range of other bands as a freelance ‘side man’ in jazz, fusion, rock/pop, and contemporary styles. He has also performed with the Sydney Symphony Orchestra. He is a two-time winner of the prestigious Billy Hydes National Drummer Playoff, and also played on the Aria Award-winning album All Out with the James Muller Trio (Best Jazz Album – 2000). To find out more or to book drum lessons with Craig Naughton contact us and we can get you started right away. All ages, all levels of experience.